Today on Fresh Living we talked about how to make DIY Wool Mobiles! 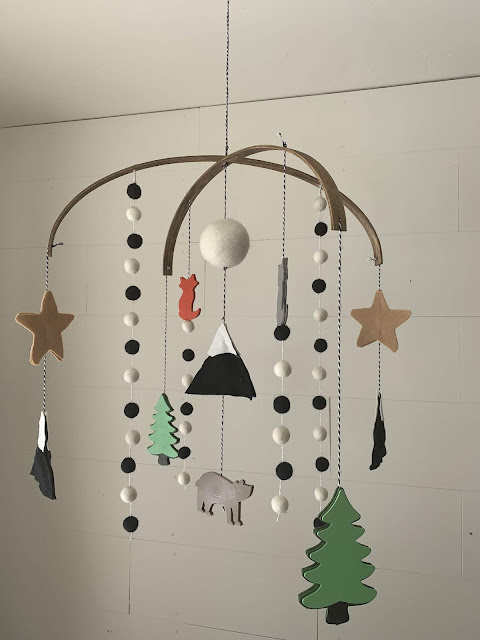 Typically these hanging pieces of art are used to decorate baby nurseries, but they are perfect for older "children" of all ages. 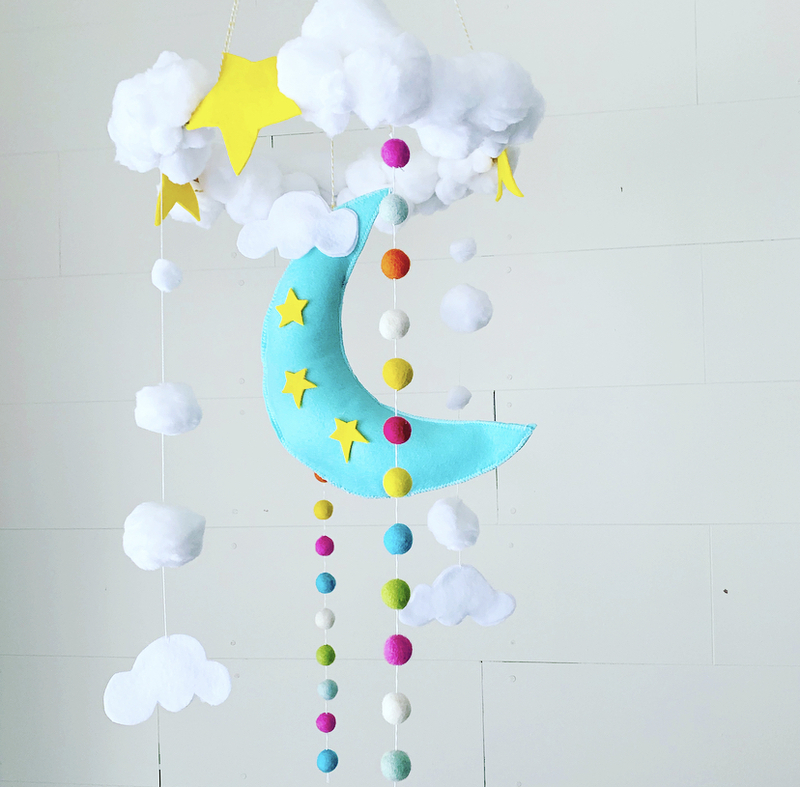 My favorite part of designing these mobiles was creating the theme for each one. The first thing you will want to do is come up with a concept, whether it is baby moons or a fairy garden, or a woodland theme, you will want an idea of what you want theme you are going for before you head to your craft shop. The materials are very basic for this project. You need to begin with a hoop to hang your items from. I used basic wood embroidery hoops (the inside hoop) for the base for all three of these mobiles. The Woodland Mobile is made with an oval embroidery hoop, cut in half that we drilled small holes into and strung together. 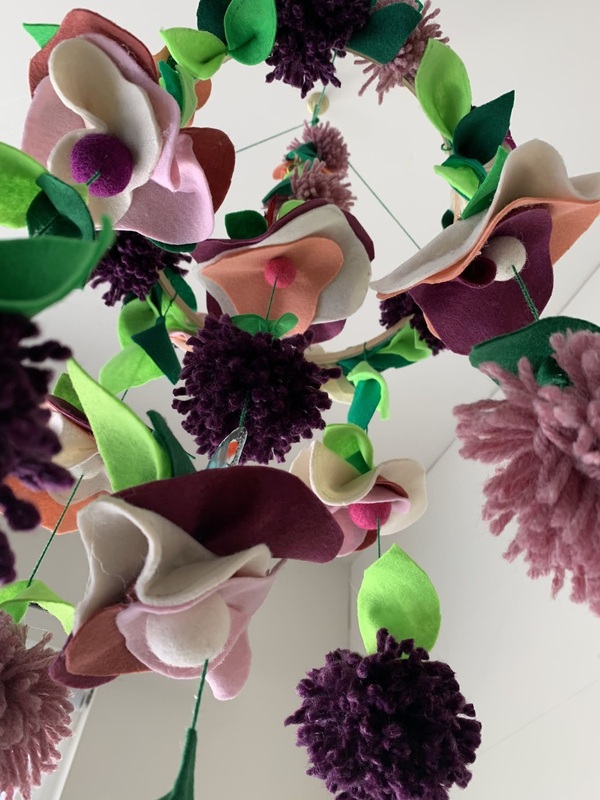 You will also want string to hang it from the ceiling and also to hang your items from. 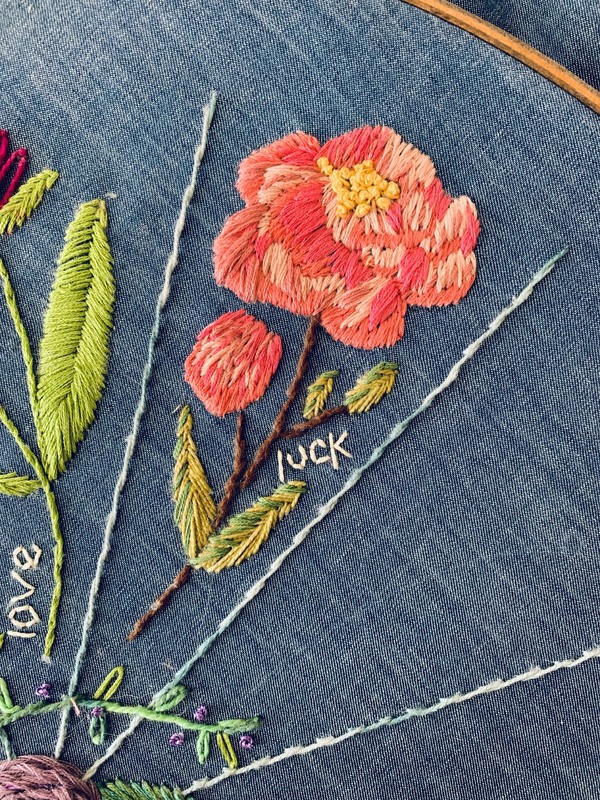 You can use any decorative string like. For the Moon Mobile and the Woodland Mobile I used bakers string that I found in the scrapbook section of Hobby Lobby. 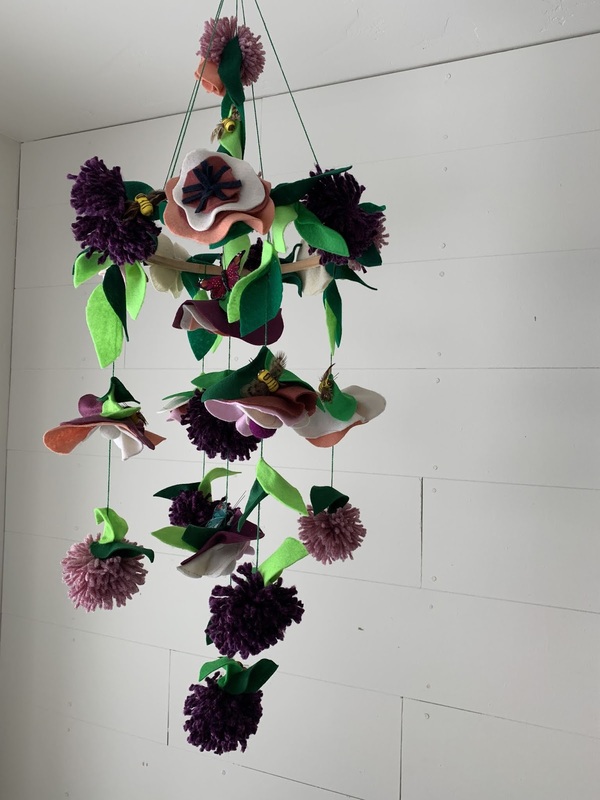 For the Fairy Flower Mobile, I used heavy embroidery thread in green of course, to look like a part of the vines. To suspend your hoop, tie four equal lengths of sting to the 12, 3, 6 & 9 positions of your hoop. Bring all of the pieces up to the top. Lie the hoop on a flat surface and make sure your strings are equal and the hoop in flat. Tie a knot in the top of the four strings and loop the knot over and tie again to create a loop to hang it by. 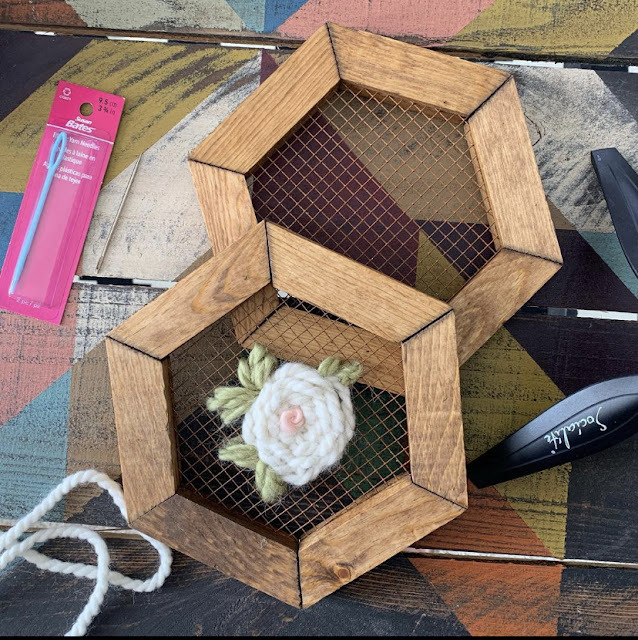 If you want a string in the middle of your hoop to hang something from, cut a long length of string and add it to the four suspension strings when making the knot. The other elements of the mobiles are totally up to your imagination. 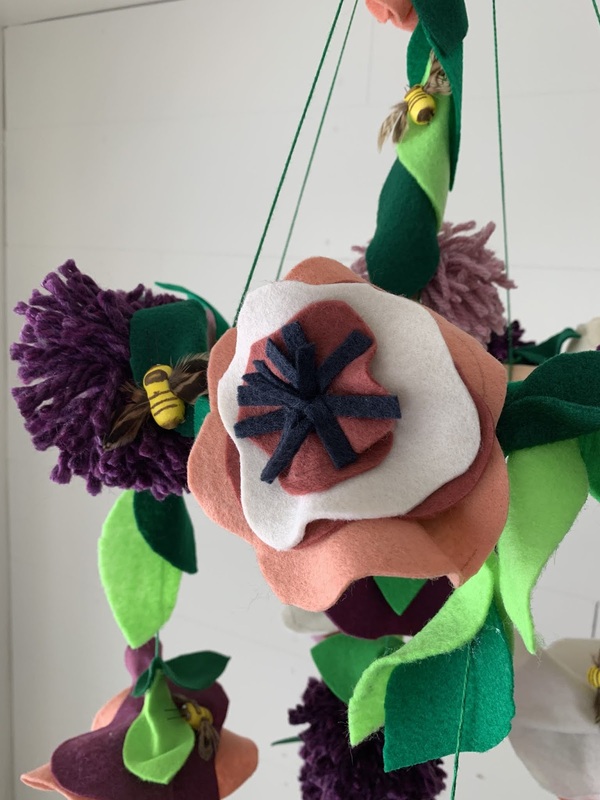 I used wool felt, wool balls, pre-cut wood pieces, pom-poms, and cotton poofs....oh and a few little bees and butterflies. You could hang whatever you like. I do recommend using light weight items so your mobile isn't too heavy and will move in the air. All of the items on these three mobiles were purchased at Hobby Lobby for under $24.00. The templates for the flowers, leaves, mountains, stars, and moon will be available in my weekly newsletter on Monday. To subscribe to the newsletter, go to the top of my blog sidebar and join our mailing list! I hope you enjoyed today's Fresh Living and got a little inspiration for how to make these one of a kind pieces. They would make fabulous baby gifts and of course your older little ones too! 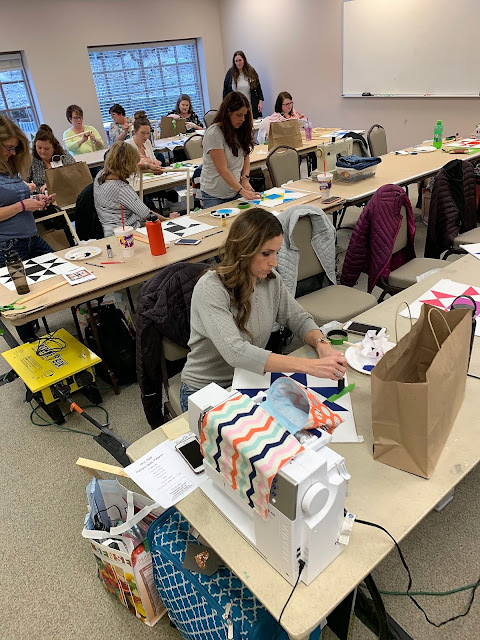 This past week I was so thrilled to be the keynote speaker and teacher at the USU Textile and Clothing Conference held at Thanksgiving Point. This is my second year teaching at this conference and I love it. What is unique about this conference is that it is for teachers who want to learn new techniques and ideas on how to help their students use their creativity in building future businesses. Seriously though, is there anything better than helping those who help our youth? I can't think of much more than that! 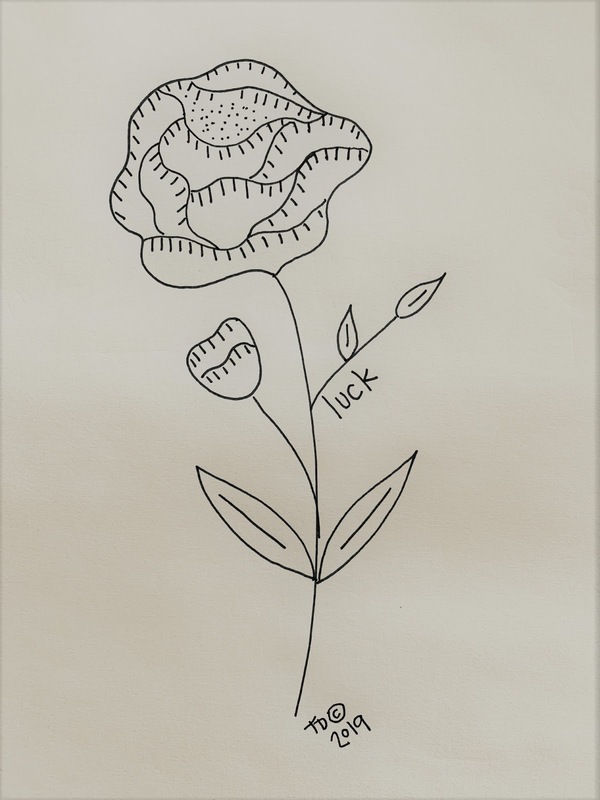 They asked me to speak on how my business began and how we maintain the balance between home and work as well as tips for using creativity to earn a living. I felt so honored to be asked to speak to a packed room of educators on something I love and feel very blessed to be able to do each day. As a side note, I did confess to being one of the worst students ever in school....although I did graduate at the top of my class. I was so bad at sitting still in class, I drove them all crazy...and may or may not have put a tack or two on my teacher's chair. 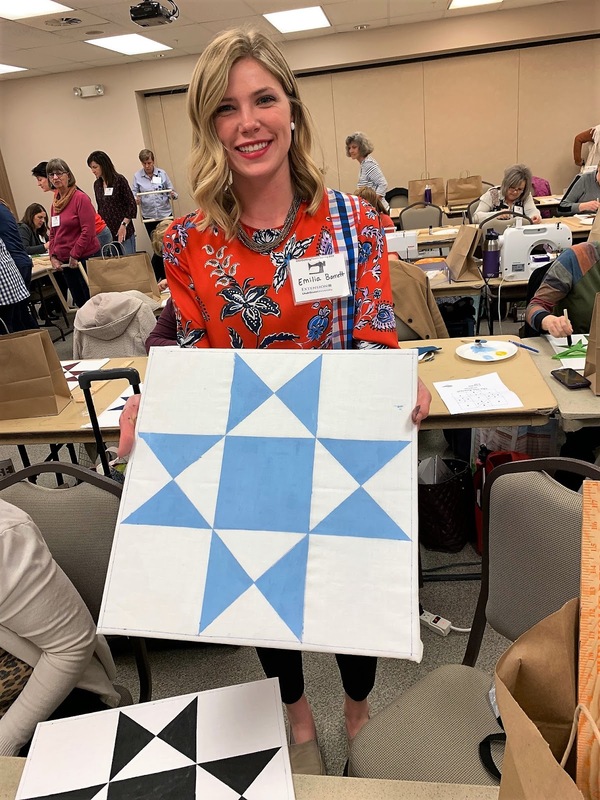 After the morning of sharing, we broke up to teach my favorite How to Paint a Quilt class using Deco Art fabulous new product So Soft Fabric Paint. 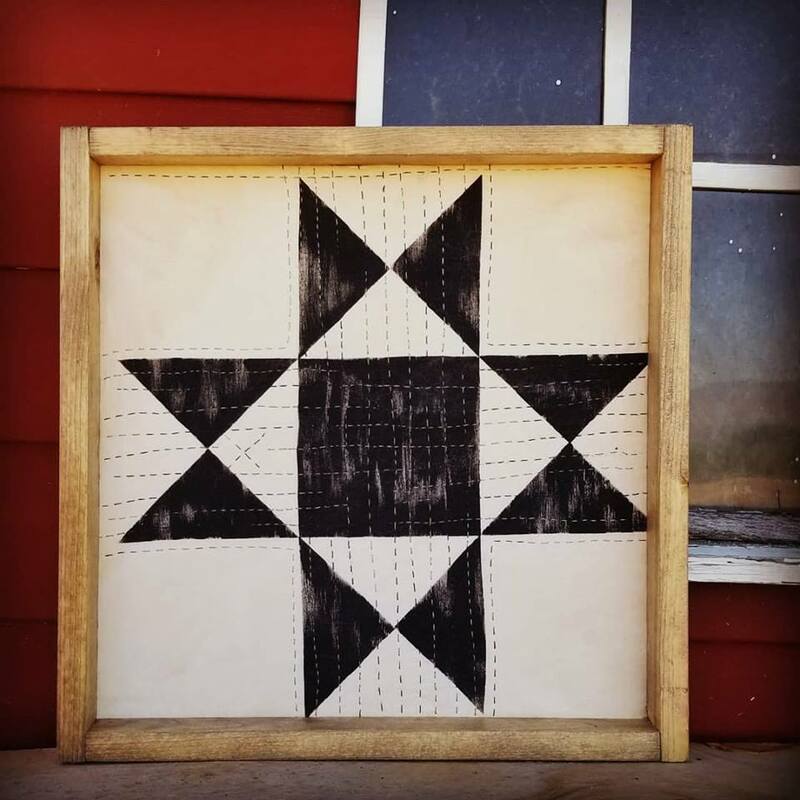 We painted our quilt blocks onto fabric and then finished our frames while paint dried. After the paint had dried, we had a lesson on Sashiko hand stitching and made darling little quilted hoops while practicing some stitching. 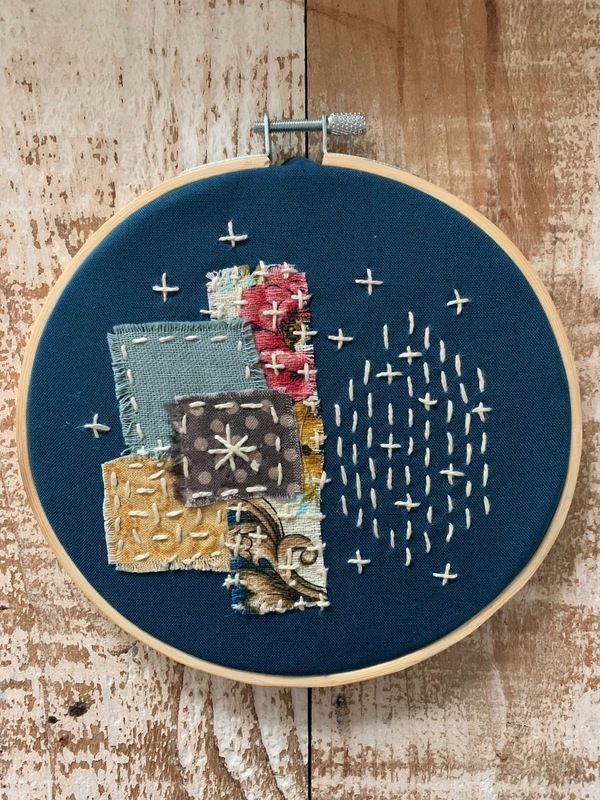 I wore my favorite Sashiko stitched jeans and we all enjoyed our time with needles and thread in hand. 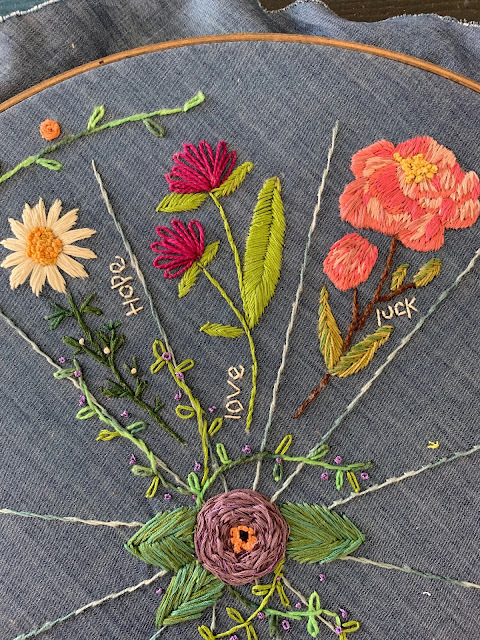 I will be posting tutorials soon for this fun stitching technique on our Tweetle Dee You Tube Channel, so go subscribe if you haven't already! 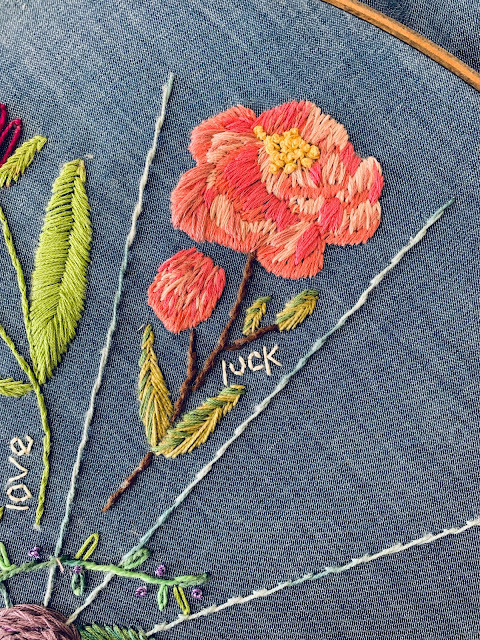 In the afternoon we had two full classes of our Little Rose Wire Embroidery and loved every second of it! So many roses and so many colors. 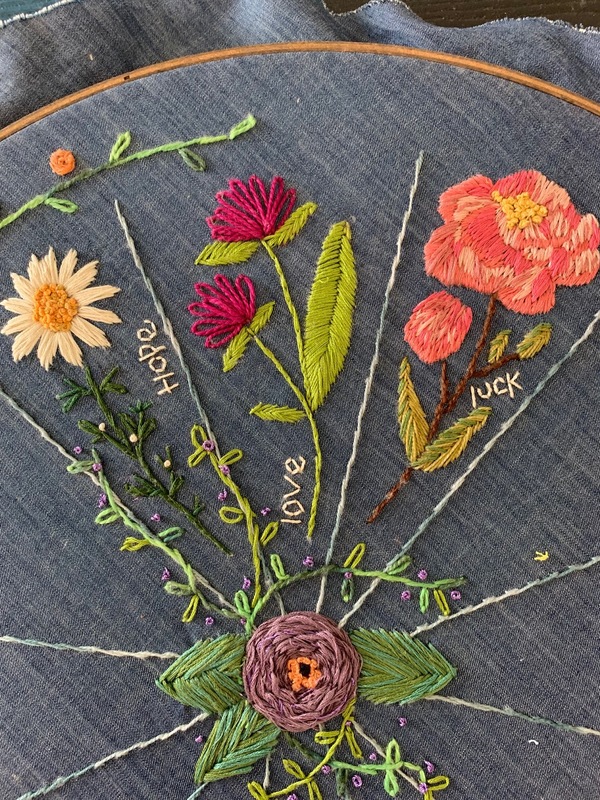 It was amazing to see those who had never embroidered enjoy learning traditional embroidery stitches in a new and fun way. I have to thank USU for inviting me to spend the day with them! I truly love sharing and hopefully inspiring other to try new things and embrace the spark of creativity we each have. Happy March friends. We have been waiting for this day for quite awhile now, so excited to share the Moonbeams & Cabin Dreams Block of the Month's first block! This collection was inspired by my Great Great Grandparent's stories on the plains of the Midwest as they traveled west on the Oregon Trail, served as missionaries to the homesteaders on the plains, and lived their lives in faith and love. I learned their stories from my Grandmother and research into the books and stories published telling their story. If you didn't know that about me, I too love family history and research. So, as we travel to workshops and classes we stop along the way and become detectives to learn even more than we could have through the passed on and down stories. Their story touched my heart deeply and I felt a deep connection to them. The tributes recorded of their service to Prairie Homesteaders and Native Americans have inspired me to give more of myself. My hope in designing these blocks is that each one and the accompanying story will touch your heart as well. The first block is the Little Cabin on the Prairie. 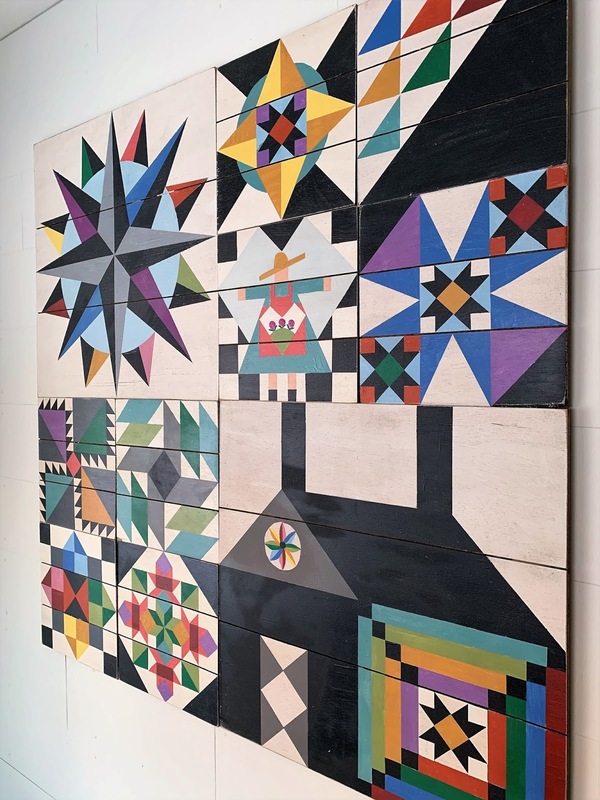 It is designed to look like the traditional cabin quilt block, but the inset square is a very fancy Log Cabin quilt block with loads of color! 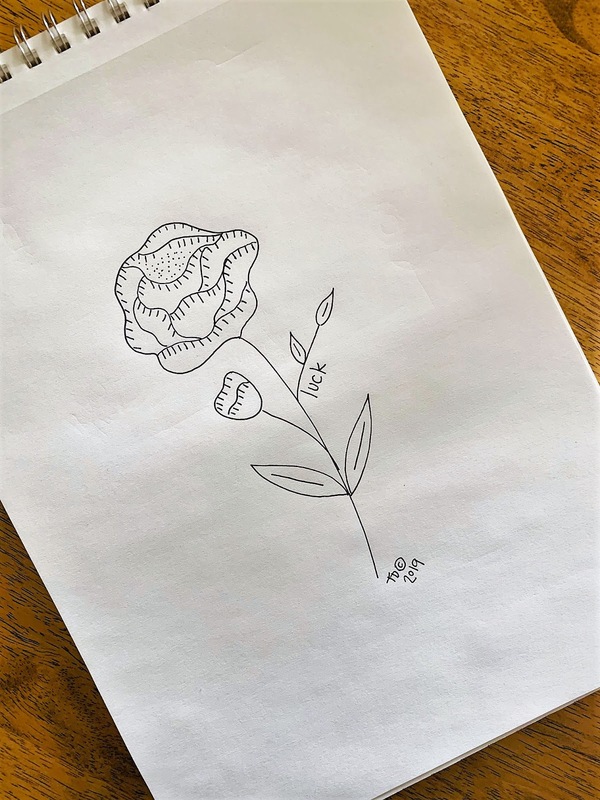 (Of course, it was designed by me.) It is a simple pattern to paint and even more to love. 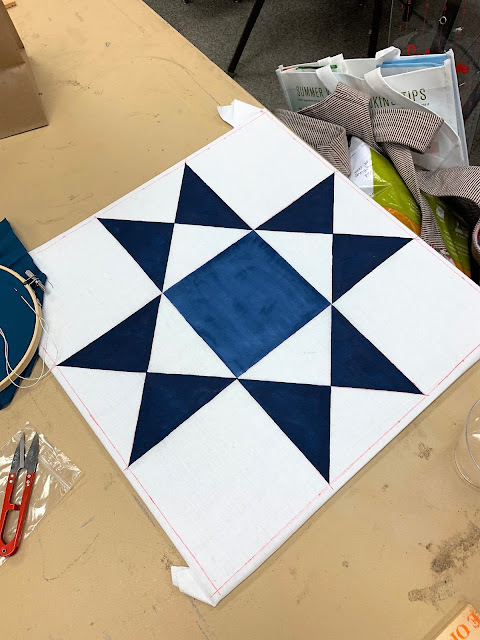 We are offering this block as a Ready-To-Hang and Ready-To-Paint barn quilt. 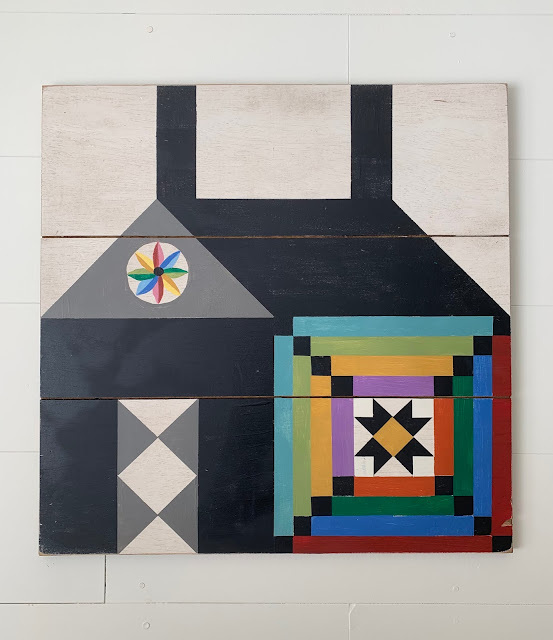 To order the block already painted and sealed for indoor or outdoor use, go to The Shop and place you order. Optional frame available too! The Ready-To-Paint Kit comes with a 24" ready to paint barn quilt board, a pattern, instruction, color guide, and the story of the block! We will be posting a video tutorial on the You Tube Channel for each block where you can watch how to draw and paint the blocks in the collection. I hope you fall in love with these colorful story blocks. 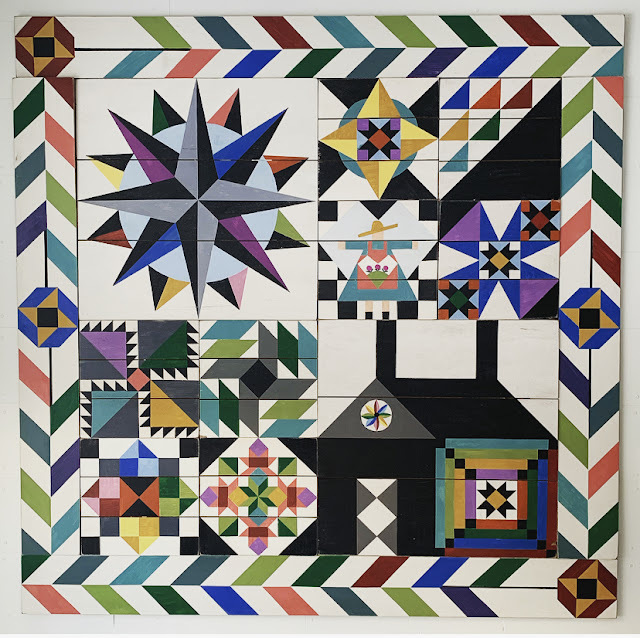 Even if you choose to paint a few of them and not the entire collection, each and every block is a fabulous barn quilt to enjoy. Through Monday we have our 30% sale! Use Code NEWSLETTERFRIENDS to save big on this Little Cabin on the Prairie.